Fifty years ago today, England, the nation that had given the world it's most popular sport, defeated West Germany to claim the Jules Rimet Trophy as winners of the eighth FIFA World Cup. Unbeknownst to the general public and even his teammates for club and country, England captain Bobby Moore was diagnosed with testicular cancer in 1964 and had to have a testicle surgically removed. He missed several months of play with a reported "groin injury", but battled back to lead West Ham to victory over 1860 Munich in the final of the 1965 European Cup Winners Cup a year before his heroics with England. With France due to take on Uruguay in an opening group stage match at Wembley Stadium, on a Friday night, a scheduling conflict arose. Wembley typically hosted greyhound racing on Fridays, so with this being England, obviously the World Cup match had to be moved. 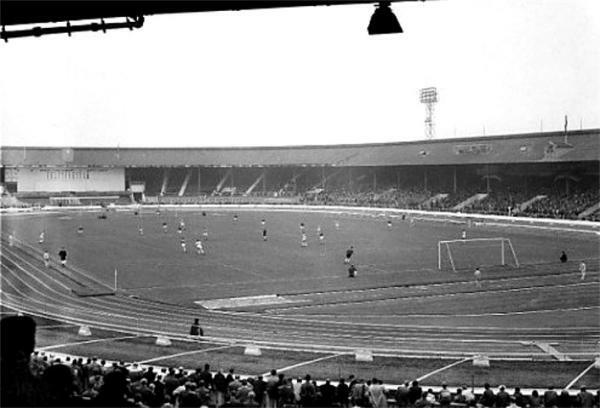 The eventual venue was London's White City Stadium, an athletics ground that had been built for the 1908 Summer Olympics. 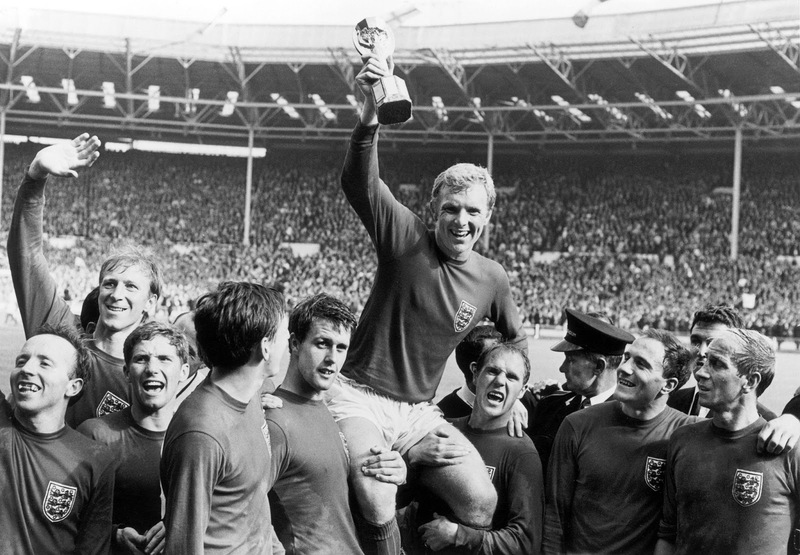 After the final whistle of the 1966 World Cup Final, the match ball should have by rights gone to England's hat-trick hero Geoff Hurst. 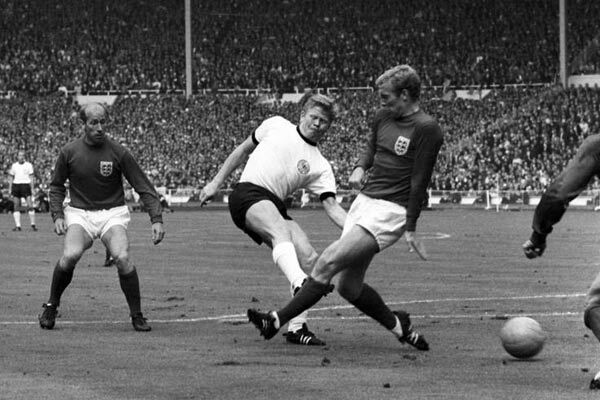 However, West Germany's Helmut Haller, who had opened the scoring that day, strode off the pitch with the ball under his arm while England were busy celebrating their historic win. Thirty years later a campaign by writers from the Daily Mirror bought the ball home and it now resides in the National Football Museum in Manchester. Just months before the finals, the Jules Rimet trophy went on display at a London stamp exhibition. Despite 24-hour surveillance, thieves somehow manged to steal the trophy from it's display case. 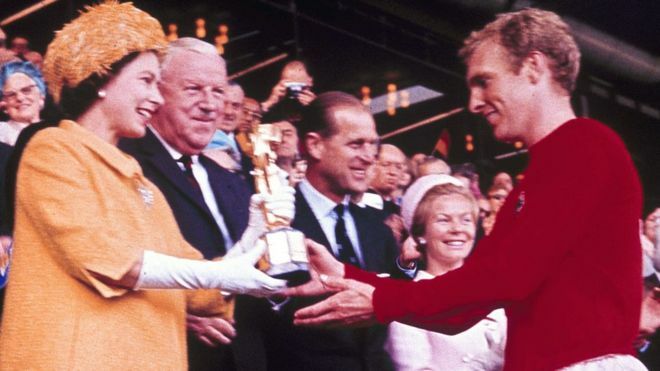 An embarrassed English FA was sent a ransom note, but nothing came of it and there was a real danger that another trophy would need to be commissioned. 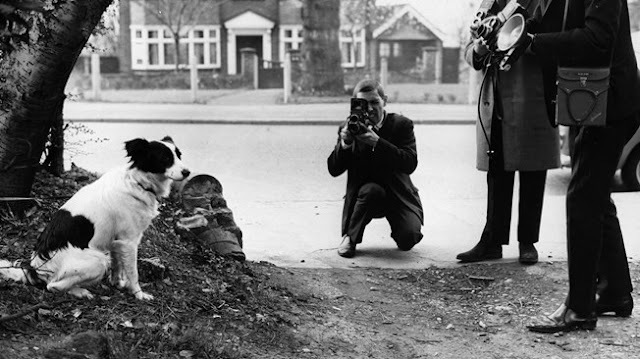 Six days after it's disappearance though a man named David Corbett was pulled over towards some bushes in London's Beulah Hill district by his dog Pickles, where they uncovered the World Cup trophy wrapped in newspaper. With only sixteen qualifying places up for grabs, FIFA decided to allocate only a single qualifying spot for the winner of a four-way playoff between three African group winners and the Asian zone winner. An incensed African Federation, who were also angered by apartheid South Africa initially being allowed to participate in World Cup qualifying, withdrew from the World Cup. Asian group winners North Korea were then left to face off against OCEANIA's Australia, who they duly hammered 9-2 across two legs. 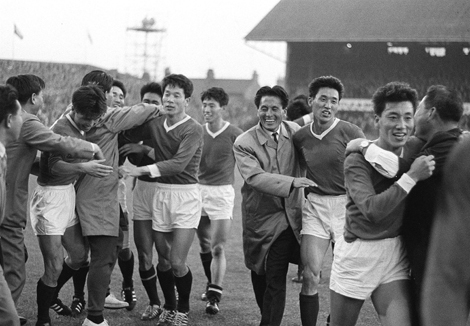 At the finals, the North Koreans would go on to stun Italy 1-0 at Middlesbrough's old Ayresome Park with a goal by Pak Doo-ik to see themselves through to the Quarter-Finals at the Azzurri's expense. Euro 2016 Champions: Sporting CP?